These Banana Oatmeal Cookies are the perfect, healthy treat for your sweet fur babies! They are beyond easy to make and require only 2, simple, wholesome ingredients. Guaranteed to result in tail wags and kisses all day long! & contains no added sugar. 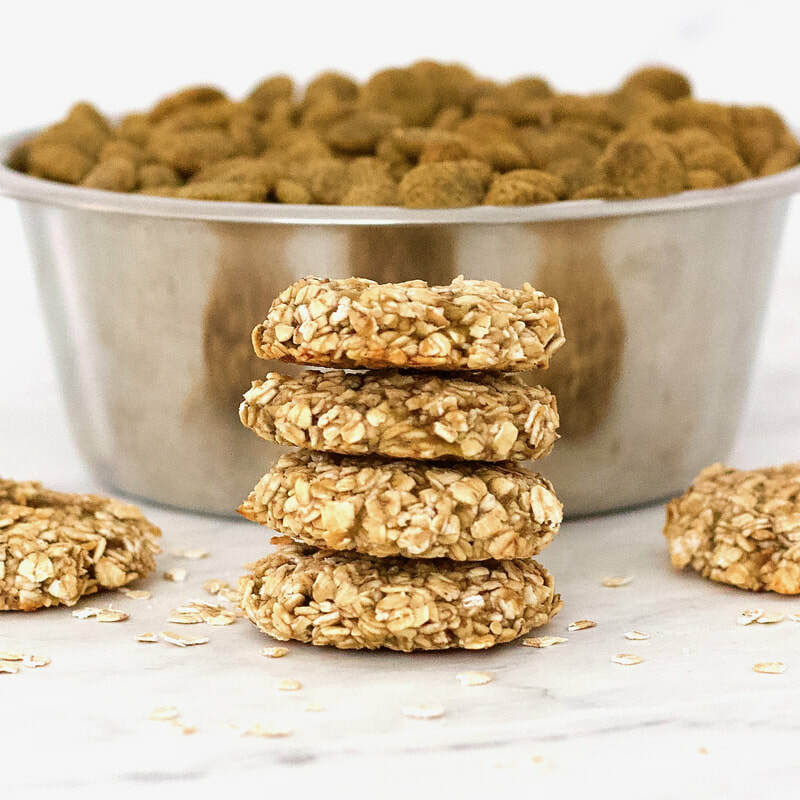 These simple, 2-ingredient Banana Oatmeal Cookies are the perfect, healthy, homemade dog treat for your sweet fur babies! They are vegan, gluten-free, low-fat, oil-free, and contain no added sugar. 1. Preheat oven to 350F, line baking sheet with parchment paper, and set aside. 2. Place banana in mixing bowl, and mash with a fork. 3. Stir in oats, and mix until well-combined. 4. Form into 6 equal-sized balls, place on baking sheet, and flatten with the palm of your hand into cookie shapes. 6. Let cool, and serve to your adorable pup over 1 cup of V-Dog kibble.